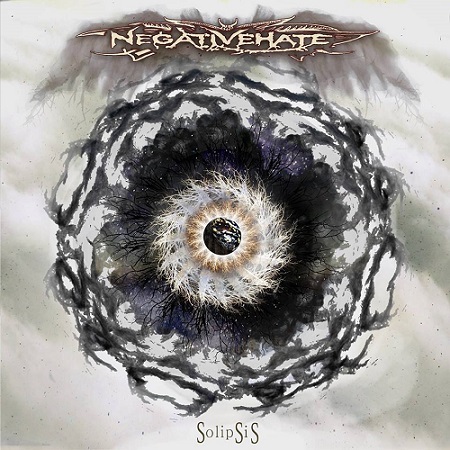 Listen: Negativehate - "(Dream Protection) Sea of Perdition"
Successfully blurring the lines between prog-rock, post-punk, and metal, Negativehate produce a striking sound throughout their new album Solipsis that melds mellow soundscapes with heavier, prog-induced grooves. The act – out of Monroe, NY – makes their idiosyncratic presence known right away on the album, with the opening track “(Dream Protection) Sea of Perdition”. Like most the album tracks, it’s a stylistic journey that approaches ten minutes in length, starting with gentle guitar trickles in a post-rock vein and adventuring to murky vocal injections. The second half expands the vocal and guitar presence, resulting in a powerful and dynamic sound.